"Your initial driver training has provided you with experience of a varied range of road and traffic conditions. However, this training often takes place within an area familiar to you. PASS PLUS provides the opportunity to drive out of your local area, extending your driving experience to Motorways and beyond." As a new driver you are more at risk of having an accident in their first year of driving. 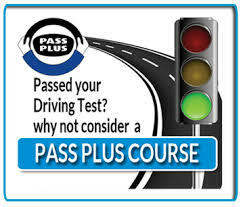 PASS PLUS will help you to enhance your driving skills, beyond what is required to pass your driving test. You may be able to save money! As an added bonus you can save money on your car insurance premiums. PASS PLUS sessions are different to a driving lesson. You will develop your confidence and ability to deal with unfamiliar roads as well as other traffic conditions you may not have experienced during your initial driving tuition. All sessions are conducted safely under my professional guidance.